Your wedding day is very important and has to be perfect! You need to have the perfect dress, the perfect location, the perfect guest-list and lots more. But a small little detail that gets missed out on very many times is the need for a perfect pair of shoes. The shoes, though a very small part of the entire suit, do make a very large difference to the appearance of the bridegroom. So how much thought actually goes into choosing the perfect wedding shoes? What is the basic requirement of a bridegroom’s feet? Does he need expensive suede shoes or would he look dashing in something as rustic as magnum boots? You see, when it comes to men’s shoes, there are just two fundamental choices to be made, even for your wedding. The first one is the style and the other is material. 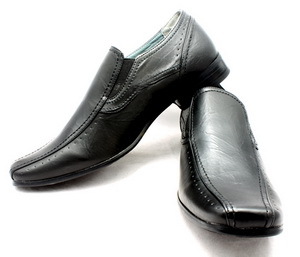 Slip-on shoes have always been in fashion and as far as we know, it will always be there. Moreover, men’s slip-ons are available in a wide array of options which ensure that there is something for almost every type of wedding suit. However, a point to be kept in mind is that you will require an additional half-inch length of your trousers if you do choose this style of shoes. A leather shoe is as good as a compulsion for your wedding, but if you are more comfortable in a rubber sole then that is also fine. It must be kept in mind that a casual shoe shall be worn with a wedding suit only if the suit is made of linen or cotton and/or the wedding is being held in a hot climate area, a beach wedding is also included in this category. In short, a shoe which is less than formal may be acceptable only under such unusual circumstances. The next that we have is the most popular style of men’s shoes which are worn with the classic wedding suits, known as the lace up black brogue. It is a classic round-toe brogue which is not only traditional but also elegant and is bound to make your wedding suit look smarter and more sophisticated. If the groom has opted for a more tailored and contemporary suit, then it is advisable to go in for a more pointed type of shoe than the simple round-toe brogue. In fact, a long and slender toe of the Italian style would be more appropriate with the suit. On the other hand, is the suit is a slim fit one, it is recommended that you go in for a slightly pointed front which is known to match the silhouetted and the narrow lapels of suit. The trouser bottoms of this design tend to be narrower which makes a wide fitting shoe appear to be somewhat clunky and highly awkward. The pointed toes are better suited for the narrow trousers. 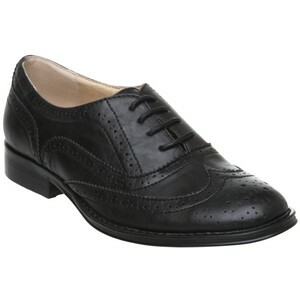 The next fundamental choice in men’s shoes is the material of the shoes. 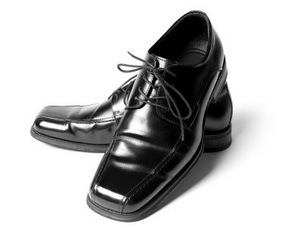 As it is mentioned above, a leather shoe is almost compulsory for a bridegroom, but alternatives can be opted for under different circumstances. The materials used for the manufacture of shoes include genuine leather to fabrics like cottons and denims, fibres, canvas, magnum as well as polyester fabrics. While the other materials are common and known to most, magnum is relatively unfamiliar. For well over 15 years, magnum boots have been providing an optimum combination of comfort with technology coupled with value in the uniforms of law enforcement such as the police, the military, the firemen as well as the emergency medical authorities all over the world. While they do give the wearer the required comfort and protection to the feet, the main objective in this context is to make the wearer look his best. Nike is a free lancer writer and content builder for many sites and magazine, he writes on many articles on wedding topics. Currently he writes for OnlineBootStore on choosing your perfect wedding shoes.